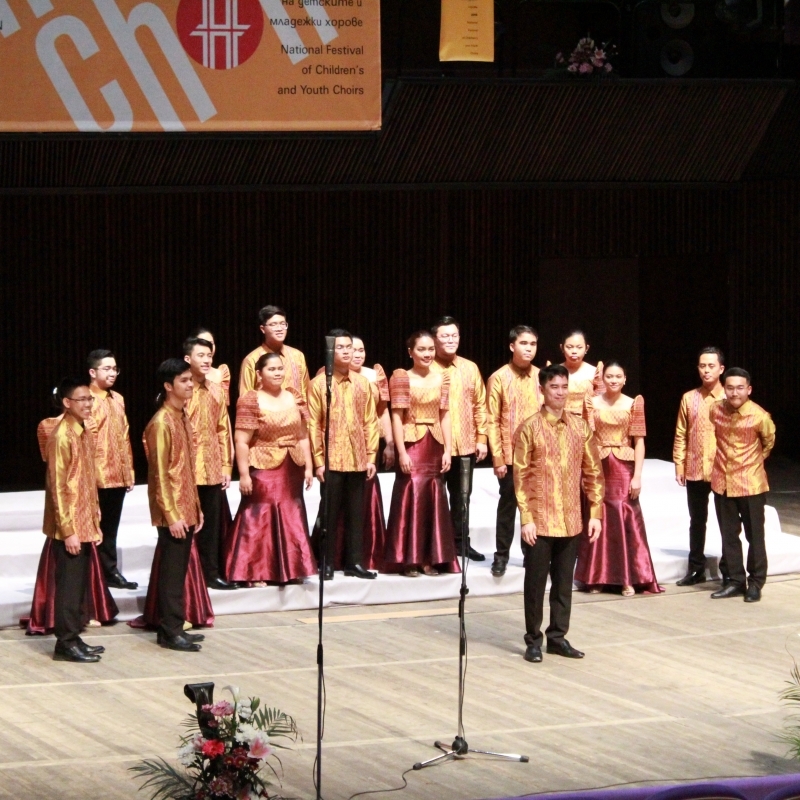 The special prize of Petko Gruev Staynov Foundation has been awarded to “Imusicapella” Chamber Choir – Imus City, Cavite Province, The Philippines, conductor Tristan Ignacio, for their performance of the song "Slana padna, Gane" by Dobri Hristov. The prize has been awarded in the framework of the International May Choir Competition "Prof. Georgi Dimitrov", which took place in Varna from the 10th to the 13th of May 2018. "Imusicapella" has also won the First prize in the category "chamber choirs", as well as the Varna Grand Prix. More details can be found on the competition's website.